Keith Devlin… as you may not have heard him before…. I'm not sure there's anyone more generous with their time and energy than Keith Devlin…. Since Edward Snowden's NSA revelations (and subsequent controversy), I noticed Dr. Devlin expressing himself on the topic (as much as one can in 140 characters!) on Twitter (@ProfKeithDevlin) more than any other mathematician/scientist I follow. The passion of his opinions intrigued me and I asked if he'd do another Math-Frolic interview, but this time just on his views about this NSA controversy -- NO MATH (my prior math interview with Keith is HERE) -- I thought he deserved more time or space than available on Twitter or even Huffington Post, where he has a piece. So read up, Keith doesn't much mince his opinions! 1) The recent NSA revelations have generated a broad range of opinion across the spectrum (from outrage, to 'ho-hum, nothing new here'). Of the many math/science persons I follow on Twitter you've been among the most harshly outspoken. Can you explain a little more deeply where that sense of betrayal stems from… as a 'naturalized' citizen do you perhaps appreciate American democratic ideals even more than a lifelong born-citizen who just takes them for granted… and how much does your British background (another country with a strong democratic history) come into play? Or, is it mostly just a straightforward legal/Constitutional issue for you, unrelated to background? Appreciating the iconic ideals of US Democracy as enshrined in the Constitution is part of my outrage at the way the US (the nation, not just the government) has allowed those ideals to slide. I certainly am under no illusions as to the many deficiencies in the US, for instance, its third-world levels of poverty and infant mortality and its medieval prison system. But those words of the Founding Fathers are one of Humanity's greatest achievements. It's surely worth remembering that the US owes its existence to the fact that those Founding Fathers were traitors. So far, everything I have seen of Edward Snowden puts him into the same camp as the Nation's founders. Certainly, his public statements and actions so far qualify him as a greater American than the current President who complicitly -- and secretly -- allowed the slide away from the founding ideals to continue. The second time was in the UK, and contributed to my leaving my homeland for the US, but the one example I have described should be enough to indicate why I simply don't buy the frequently touted idea that "If you have done nothing wrong, you have nothing to fear." In the age of big data, just as we can easily find ourselves with a wrecked credit rating that can take years to sort out, so too we can find ourselves on a government "person of suspicion" list. In my case, I had the psychological strength to shrug it off -- albeit I did emigrate from the UK to the USA. Had I a different psychology, the ending could have been tragically different, as it was for Aaron Swartz, who was unable to sustain the inhuman persecution by US attorney Carmen Ortiz and Massachusetts assistant US attorney Stephen Heymann, who clearly viewed him as a mere pawn to advance their careers. 2) Related to the above, you actually worked for the NSA at one time in your life (contractor???). I suspect you can't say a lot about that work, but can you say, in a more general way, if that specific experience with NSA, contributes to your strong feelings? And are there any details from your own NSA experience you can tell us about which are pertinent to this ongoing story? 3) Author Kurt Eichenwald wrote a book a few years ago, "500 Days," apparently divulging info similar to what Ed Snowden has revealed. Have you by any chance read this volume? He claims on Twitter (as do others) that there is nothing new in the current revelations, and that in fact some of the details, as covered by the press, are simply wrong or misleading. To those who would say, there's no real news here, and moreover, private companies (Google, Facebook etc.) snoop on individual lives FAR MORE than the Gov't., what would you say? 4) Personally, while the massive net for "metadata" concerns me, what troubles me even more (and doesn't get much coverage) is the potential for NSA individuals to target specific politicians/leaders for scrutiny and use that info for strictly partisan purposes… possessing knowledge about the personal lives of political opponents is an even greater danger to democracy than knowledge of the general citizenry. Any thoughts? This is the real worry. Right now, we have President Obama saying "Trust me, this immense security apparatus is being used for your safety." As it happens, I am inclined to give him that trust, though in so doing I am making a leap based on no first-hand knowledge. But that's not the point. Who knows who will hold the reins in the future? It was not long ago that J Edgar Hoover was in charge of the FBI. We've had despots in positions of power before, it can happen again. When I was living and working in West Germany, I traveled occasionally to East Berlin to consult with university colleagues, and learned enough about the STASI to never want to live in a state with such a powerful and intrusive security apparatus. 5) Some people view Snowden (thus far) as a highly-intelligent, sincere, courageous, deeply-patriotic individual, and others label him narcissistic, self-aggrandizing, delusional (some have even said, why can't he be ALL of the above!). Care to say, how you would characterize him? I already did. I think history will portray him as a twenty-first century "Founding Father", who initiated a return to the principles by which the country was founded. Assuming, that is, that we do indeed step back from the abyss. The current attempts to discredit him are as predictable as they are transparent. His personal character actually makes little difference. He did the US a great service (that's the part history will remember) by performing a heroic act, clearly at high risk to himself. Exactly the same can be said of the Founding Fathers. Acts can endure, personalities are replaced by stories. 6) One of the interesting major disagreements is between those who say that the sort of massive "dragnet" surveillance that is going on is outright illegal and not authorized by Patriot Act measures, versus those who say there is NO "surveillance" but only the collection of large-scale metadata (which does not constitute surveillance), and only when a 'pattern' of interest is found in the data can the Gov't. then seek a court order to do further actual surveillance. I know you are interested in the uses of language and meaning, and clearly that is what we have here… Any comments? It is clearly illegal, being against the Constitution. It's also immoral. Period. 7) Do you feel very disillusioned (as some do) by the Obama presidency over the various issues of transparency/secrecy that have arisen, or are your issues more with the intelligence community than with the White House? We live in a democratic republic. The intelligence community do their job, and implicit in that is to collect as much information as they can. The elected government are the ones setting the limits and calling the shots. If there has been a breakdown in that line of command, it is the government that has the responsibility to put things right. If ever we were at a juncture where a president should offer real leadership, now is that time. I understand Obama would like to go down in history as another Lincoln. Now is his chance. I wonder if he has it in him. 8) Supposedly Glenn Greenwald/Guardian have several more disclosures to make from the information Snowden provided. Care to make any predictions (and I know you think that predictions, especially about the future, are difficult ;-) about what may happen over the course of say the next year? …Will Snowden be extradited and prosecuted here in the U.S.? Will the Patriot Act be revisited and revised by Congress? Will the stand politicians' take on this affair (with or against Snowden/NSA) have a major effect on the 2014 mid-term elections?…. Since I don't know what information Snowden has, I don't see how anyone can make predictions. Whatever he has clearly already exists in multiple copies, held by different people, so it will likely eventually come out. So in practical terms, the best option for the US is to simply leave Snowden alone in Hong Kong. Public interest being as it is, "the Snowden story" will soon go away -- though I hope that real reforms result. Trying to have him extradited to the US, in contrast, will not only keep the story on the front pages for months and more likely years, but if the attempt succeeds, we will have a martyr on our hands. And martyrs are dangerous. Do we want to turn Snowden into another Nelson Mandella? How do we respond if, for instance, an imprisoned Edward Snowden is awarded the Nobel Peace Prize? (Those Scandinavians have a strong sense of social justice and are not easily pressured, so that could very well happen!) Better not to go that route. There is a slew of downsides, but the only "upside" is revenge, and there is no way the US could come out with dignity and respect if we throw our immense power going after one of our own citizens so it would prove to be a hollow upside. I think that here in the US we have a choice. In 1789, a bunch of traitors to the ruling authority formulated the First and Fourth Amendments as they set the new nation on its course. Like him or hate him, Edward Snowden has put the questions of public information and personal privacy on the table once again. As a result, we have an opportunity to correct our course. Because of the Founding Fathers, we are currently able to debate this issue freely and openly. If we don't live up to those two-hundred-years ideals now, that great episode of human society (great for all its flaws, which lie in the execution, not the ideals) will have come to an end. We will be the "Land of the enslaved, home of the scared." ....I don't completely agree with everything Keith says here, but I surely love the man's passion... as he demonstrates in everything he takes an interest in or speaks about. And further, as someone who has experienced unwarranted governmental suspicion/surveillance elsewhere -- albeit by his admission short term and low level -- his views deserve close attention. THANKS again for taking the time to respond Dr. Devlin. The book I've highlighted recently, "The New York Times Book of Mathematics," ends with a chapter of readings on various notable mathematicians… Erdos, Ramanujan, Conway, Gödel, Wiles, etc. I suspect most (if not all) of the brilliant figures profiled were/are Platonists (mathematics is discovered, not merely created). Yet many other recent math figures (Reuben Hersh, William Byers, Keith Devlin, Jim Holt, and more) have forcefully argued that mathematics is indeed a mental creation that might even differ considerably in a different Universe than ours -- indeed some almost seem to find the notion of mathematical Platonism so wrong-headed as to be silly (while Martin Gardner found the non-Platonist view almost silly). And occasionally such writers cause me to sway toward their non-Platonist stance though I always seem to float back toward Platonism. One thing that so many of the greatest, most productive mathematicians seem to share is an uncanny, almost inexplicable ability to tap into a realm of intuition or mental landscape not readily accessible to most of us. Ramanujan is certainly the unparalleled, most inexplicable, example of this; producing amazing mathematical results that are still today being explored and proven. Reading James Gleick's portrait of Ramanujan in the Times volume it really hit me… was Ramanujan, who routinely produced such results/theorems without ever showing the steps that led to the outcome, in direct access of the "Platonic realm?" He himself claimed his insights came in dreams and trances directly from the Indian Goddess Namagiri... Who are we to argue (and where did she reside)?!! In many ways, Ramanujan's extraordinary talents are reminiscent of the incredible abilities of various mathematical savants and prodigies who usually can't explain how they do what they do. Their brains seem clearly to operate, or even be wired, differently from those of 'ordinary' people. I think Martin Gardner might well relate to this idea too… For all his empirical skepticism, Gardner also described himself as a "Mysterian," a philosophical view which holds that ultimately consciousness cannot be explained by any human brain. In the famous words of computer scientist Emerson Pugh, "If the human brain were so simple that we could understand it, than we would be so simple that we couldn't." Is it possible that humans are able to draw upon a Platonic world, and can recognize 'consciousness,' yet perhaps never, with our limited minds, fully grasp either? Does the 'Platonic world' exist, but like the Continuum Hypothesis, fall into a nether land of things that simply can't be proved true or false by human logic? 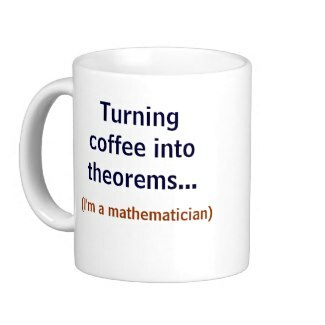 Speaking of certain mathematical proofs, Paul Erdos would famously say, "This one is from The Book!" I'm not so sure he was speaking in metaphor... perhaps The Book, in some (Platonic) manifestation, exists. Is the alluring beauty of math only in our heads, or is it an integral part of all creation? MIT physicist Max Tegmark has argued for some time now that the entire physical universe, as we perceive it, is nothing more than mathematics, or a mathematical structure (called the MUH, or "mathematical universe hypothesis").
" 'He seems to have functioned in a way unlike anybody else we know of,' Dr. Borwein said. 'He had such a feel for things that they just flowed out of his brain. Perhaps he didn't see them in any way that's translatable.' "
Connes and Changeux didn't resolve the debate... and we won't here... but still, nourishing food-for-thought. Non-technical math anthologies are rare critters… when one comes along my instinct is to pounce on it. 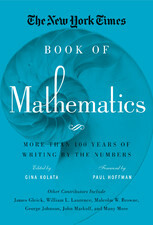 "The New York Times Book of Mathematics," edited by Gina Kolata, was worth the pounce! That should give you a sense of the breadth of topics on display here. The pieces are vibrant, terse treatments (no doubt only intended to fit within a certain column length). The writing is so good that the pithiness leaves one reaching the end of most pieces wanting more... just one more page pl-e-e-ease. "But even if the rest of us cannot appreciate mathematics as an art form, are we really shut out? Articles in the New York Times may not give the details of proofs, but they reveal a rich world that can be exciting, surprising, and can even tug at the heartstrings." Yet several reviews I've seen of the volume are rather ho-hum about it, but these are usually from professional mathematicians -- for the working mathematician there may not be that much here to excite -- although I think any math lover will find at least a few pieces that strike a chord. 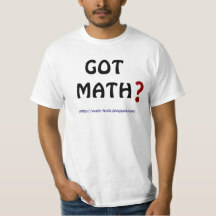 But for lay folks with an interest in math (my core readership!!) this may be the BEST anthology I've ever come across! There is no technical material or equations to weigh down your enjoyment, nor slow your consumption. It is all about math and mathematicians... without doing math. One downside is that because this is limited to NY Times' writers, many excellent popular math writers are absent. Indeed, I'd normally be skeptical of an "anthology" that was restricted to the number of writers this one is -- it is very heavy on pieces from Gina Kolata and James Gleick -- but these writers are SO good at their craft that skepticism quickly fades away. While Kolata and Gleick's pieces are perhaps the best, there are numerous fine contributions as well from George Johnson, John Markoff, Dennis Overbye, and others. Oddly, there are no entries from Steven Strogatz here (author of some of the most popular math pieces the Times has carried in recent years), but perhaps his offerings simply didn't make the 2010 cutoff for the volume. The one other thing that may be missing from the collection, it seems to me, are more articles which relate math to the other sciences, particularly physics and biology (I believe the Times has run several such pieces). Most of the entries come from the last 3 decades or so, but some go back as far as the late 1800s. I wasn't particularly enamored of several of the older entries that were probably included more for the sense of history or progression they illustrate than for the math covered. Still, overall the mix is appealing. Chapter 5, focusing on cryptography, would have been interesting in its own right, but became even more-so, in light of current events, as almost every article makes mention of the NSA and its relationship with mathematicians (by most accounts, by the way, NSA is the largest employer of mathematicians in the world). But there isn't a bad chapter in the volume. In short, I love this compendium, even more than I expected to. If it wasn't such a thick, heavy volume I would almost recommend it, at this time of year, as a 'beach-read'… for the mathematically-inclined. In the distressed world of print journalism, the NY Times has been cutting back on science journalism, so it is wonderful to have this hard-copy of delicious math-related essays to keep on one's shelf as a permanent source of popular math writing stretching across decades. Hats off to Ms. Kolata on a job well-done! Do note that I think his title may be a bit misleading so follow carefully all he has to say. I was afraid his long lapse in blogposts might mean that the 2nd rendition of his 'mathematical thinking' MOOC hadn't proceeded well (though his insanely busy schedule could also account for it), and luckily it doesn't sound like that was the case… though he does still write with caution about MOOCs, and will have more to say in the future about this last go-around. "the vast majority of people under twenty now interact far more using social media than in person. "The media of any age are the ones through which we must pass on our culture and our cumulative learning." "Something else that digital technologies and the Web make possible is rapid iteration guided by huge amounts of user feedback data – data obtained with great ease in almost real time." "Experimentation and rapid prototyping are fine in their place, but only when we all have more experience with them and have hard evidence of their efficacy (assuming they have such), should we start to think about giving them any critical significance in an educational system which (when executed properly) has served humankind well for several hundred years. Anyone who claims otherwise is probably trying to sell you something." Actually, I think "experimentation and rapid prototyping" may now be an integral part of our quickly evolving world and education system… more than ever before change can happen with such speed that we may try 4 failed experiments and still succeed at #5 in an acceptable/practical amount of time (even before the "hard evidence of efficacy" is fully in or agreed upon. Just the speed with which the MOOC movement has grown is a testament to that, and as Keith implies, the time is ripe for us to "make sure" they [MOOCs] work in some form. Despite the uk URL appendage it's from a California high school math teacher (Crystal Kirch) focused on the "flipped classroom" concept. Just scanning over it, it looks interesting and impressive to me, but as someone not in the loop of secondary education I don't want to assume too much. What definitely caught my attention though (and those of you in secondary education likely already knew this) was the sheer number of other blogs with a similar focus on flipped instruction (as well as a network of teachers with this interest) that Mrs. Kirch links to. The "flipped classroom" has been around long enough that LOTS of teachers are trying it, tweaking it, playing/experimenting with it, blogging about it, and just generally sharing their experiences (good and bad) with their peers. What a great collaborative endeavor! !… and not brought on by some agency-directed-commissioned group-on-high, but by the spontaneous interest of those who share similar goals. Again, before the internet this sort of rapid cross-communication effort wasn't possible. It is fascinating to me how both "flipped classrooms" and MOOCs, which in some ways share little in common, and operate on different levels of education, have simultaneously sprouted up like mushrooms in the cyber landscape, both controversial and rapidly-evolving, yet giving tremendous promise. "Those of us in education are fortunate to be living in a time where there is so much potential for change. The last time anything happened on this scale in the world of education was the invention of the printing press in the Fifteenth Century. As you can probably tell, I am having a blast." And some of us are just having a blast... watching those of you who are in the trenches having a blast. To Keith, and Mrs. Kirch, and all others doing the nitty-gritty work that will shape the education of future generations... THANK YOU!